Once your account is setup, you'll be directed to your projects dashboard. My Projects: Click this drop-down to access personal, team (or enterprise), and archived projects. Projects: Access this dashboard to view all active projects. Activity: View project changes and progress. People: Manage collaborators, team members, and teams. Learn: Get the basics of InVision, plus pick up some advanced tips and tricks. DSM: Access the Design System Manager web view. Notifications: View comments and access Inbox. Share the Love: Send an InVision credit to someone and get a free gift when they upgrade. Profile: Access your profile information, update billing details, and view product updates. Plus button: Create a new prototype, board, or freehand project. Collaborator filter: Filter projects by who is collaborating. Project sort: Sort projects by recent or alphanumeric. Project tabs: Access all projects, or narrow it to prototypes, boards, freehands, or favorites. Search: Search for a project by title. 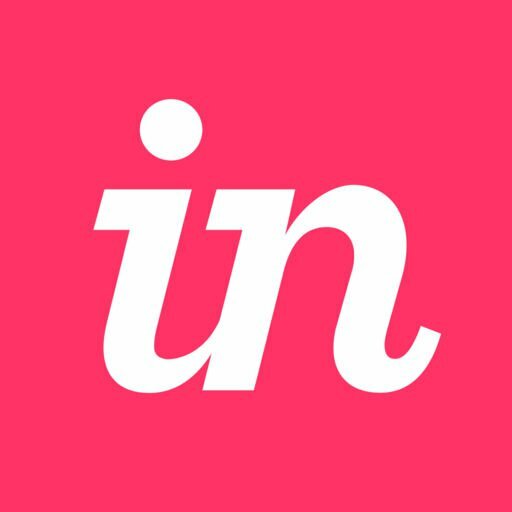 InVision icon: Click here to return to your prototype dashboard. Prototype app icon (mobile prototypes only): Upload an image to create an app icon. Prototype name: Click the name to quickly rename your prototype. Freehand: Upload your screens to a new Freehand project. Share: Invite collaborators or create a public share link. Collaborators: See who's collaborating and add others. Plus button: Upload screens or get Craft Sync. List view: Organize your screens as a list. Grid view: Organize your screens as thumbnails in a grid. Screen size slider (grid view only): Adjust screen thumbnail sizes. More menu: Access a list of actions including download, archive, and Slack configuration. Assets: View, upload, and download assets for your prototype. Comments: View comments or load resolved conversations. Activity: View changes and progress of your prototype. Workflow: Manage screen statuses and create new tasks. Screens: Access active or archived screens. SMS to Mobile (mobile only): Share your prototype via SMS. Left and right arrows: Click to toggle through your prototype screens. Share: Add collaborators or share your prototype via a public share link. Screen status: Quickly change a screen's status. Configuration: Update the background image, hide the status bar, and change the device skin. Settings vary depending on whether your prototype is mobile, desktop, etc. Upload screens: Add more screens to your prototype. Social share: Send your designs to Slack. History mode: View previous versions of the current screen. Inspect mode: Access measurements, colors, and assets. Comment mode: View, edit, and add comments to your screens. Build mode: View, edit, and add hotspots. Preview mode: View and test your interactions to create a seamless experience. Current screen name: Click to switch to a different screen or upload new ones. Current prototype name: Click to return to prototype dashboard. InVision logo: Click to return to projects dashboard. Hide toolbar: Click to hide or show toolbar. Favorites give you quick access to your most important prototypes and boards. When you sign in to InVision, you’re able to view all projects, or you can view by category or Favorites. Add a project to your Favorites by hovering over the thumbnail and clicking the star icon. 1. Click Projects at the top left. 2. Select the drop-down menu along the top navigation bar. This menu will default to Recent but can also appear as Alphanumeric. You must own a prototype in order to delete it. 1. Navigate to your prototype homepage. 2. Click ••• (next to Assets under your prototype name). 4. Check all of the boxes to confirm, then click Yes, Delete This Prototype. Alternatively, from your main account dashboard, you can hover over the prototype thumbnail, click •••, then click Delete. 2. Click ••• (next to the Assets button under your project name). Alternatively, from your main account dashboard, you can hover over the prototype thumbnail, click •••, then click Duplicate. Click Duplicate again to confirm your action. The prototype duplicate will not include collaborators or conversations. 1. Go into the prototype from your dashboard. From your main account dashboard, you can hover over the prototype thumbnail, click •••, then click Archive. Confirm your action by clicking Yes, Archive Prototype. 1. From your dashboard, click the My Projects drop down menu. 3. Hover over your prototype and click Unarchive? 4. Enter the team owner's (the person who purchased the Team account) email address and click Yes, Transfer Prototype. An email invite will be sent to the recipient which must be accepted. Upon accepting the invite ownership will be officially transferred and the whole team will be able to access it. Caution: You must ensure that all collaborators that should continue to be able to access this prototype are at least Reviewers in your Enterprise before transferring to your Enterprise account. Otherwise, they will be removed as collaborators upon transfer. Once you're on your prototype homepage, click the ••• button (next to Assets under your prototype name). From here you will see an option to transfer to your Enterprise account. Note: Prototype transfer from an Enterprise account to another account is not yet possible. To transfer prototypes from an Enterprise account or between Enterprise accounts, please contact support. Click ••• (next to Assets under your prototype name). Go to your prototype homepage. Hover and click between rows of screens to create a divider. Then you can drag and drop your screens within the sections in thumbnail view. Note: You must use manual sort to create sections. Hover over the divider line and you should see a small X on the right side of the screen divider. Click the X to delete the divider. Note: Once you delete a screen, you can’t restore it, and we can’t restore it on your behalf. Click the trash can icon, and select Yes, Delete. Note: There currently isn't a way to remove versions from your screen history. In order for screens to appear in the screen history, you'll need to replace a screen or sync the new screen. 2. Click on the appropriate screen. 3. Click the clock icon at the bottom of your screen to go into History Mode. 4. View the left column of the screen to see a list of versions. Click a version to view it. Note that you cannot restore old versions of screens from History Mode. Go into your prototype and click Screens (under your prototype name) to reveal a drop down menu. Click Archived Screens. Once you click that, you’ll be able to unarchive screens as needed. Hover over each screen you want to move and check the circle on the screens you want to copy to another project. Scroll to the bottom, click ••• (next to Assets under your prototype name). Click Copy to Prototype, and select the appropriate prototype. Note: Copying screens to another prototype does not copy over hotspots or comments. Ensure the file name for each screen is unique across prototypes, otherwise, you may overwrite the existing screen when copying. For example, if you copy a screen from Prototype A and that screen shares the same file name as another screen in Prototype B, the screen from A will overwrite the screen in B. How do I sort prototypes?